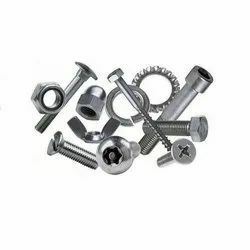 Our range of products include 304 stainless steel bolt, 316 stainless steel bolt, 316l stainless steel bolt, 316 stainless steel nut, 304 stainless steel nuts and 347 stainless steel nuts. 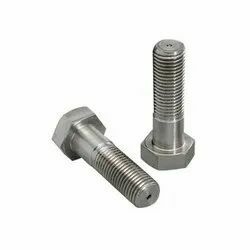 Being the reckoned names in the industry, we offer a highly durable range of 304 Stainless Steel Bolt that is durable in nature and is corrosion resistant in nature. Our entire product range has high tensile strength and is abrasion resistant in nature. We offer them in varied sizes and dimensions and are easy to fit. We deliver them in the well-defined time frame. 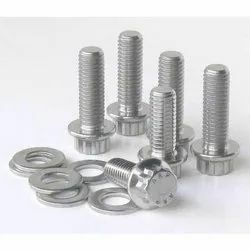 Capitalizing on our vast industrial experience, we offer an extensive range of 316 Stainless Steel Bolt that is sourced from reliable and certified vendors in the industry. Our entire product range has high tensile strength and is dimensionally accurate in nature. We are supported by the panel of experienced procurement agents who assist us to deliver an exceptional range of products. 316L Stainless Steel Bolt is manufactured using high-quality stainless steel and is in complete conformity with industrial quality standards. These bolts are renowned for their ease of installation and maintenance and are dimensionally accurate. We offer a comprehensive range of 316 Stainless Steel Nut to our clients all across the world. 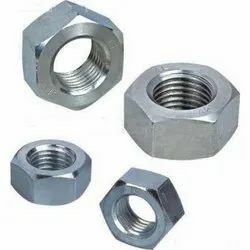 These nuts are known for various features such as durability, resistance to corrosion & abrasion, high tensile strength and optimum performance. We hold expertise in providing a comprehensive array of 304 Stainless Steel Nuts. As per the diverse requirements of the customers, we offer these products in different dimensions. Further, these products find their application in various industries like engineering and automobile. 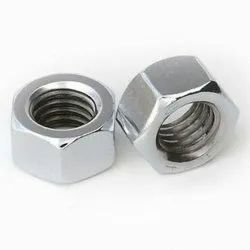 We Jainex Steel Metal is a leading supplier, stockist and supplier of 347 Stainless Steel Nuts. 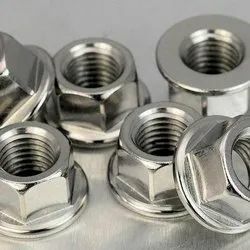 These stainless steel 347 nut is mainly used in big industries Stainless steel 347 nuts is having a three qualities export bright, polished bright and black. 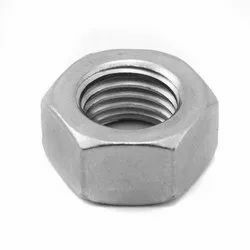 We manufacture and supply high-quality 316L Stainless Steel Nut which is manufactured with a precision grade of Stainless Steel and is available in various sizes. 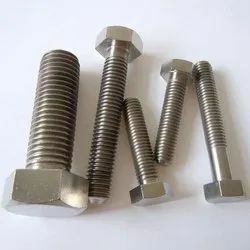 Keeping in mind the diverse requirements of the clients, we offer an extensive range of 304L Stainless Steel Bolt that is performance-based and is abrasion resistant in nature. They have high tensile strength and are corrosion resistant in nature. We deliver them in varied sizes and grades and can be customized as per the requirements of our clients. We are engaged in the supply and distribution of premium-quality 347 Stainless Steel Bolt. They are fabricated using high-quality Stainless Steel raw material and adhere to industrial quality standards. They are available in different thread materials. 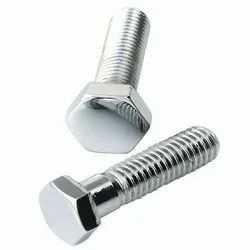 These bolts are well known for their ease of installation and maintenance. They are dimensionally accurate as well. They are resistant to corrosion and abrasion. 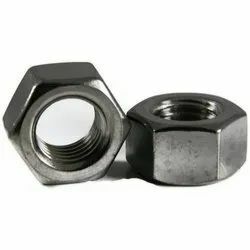 We have been renowned in the industry for manufacturing and supplying the industrial range of 321 Stainless Steel Nuts. Widely popular for its premium quality and affordable pricing, the products are highly recommended throughout the market. Moreover, we are offering them at much-discounted prices. We are among the leading manufacturers, importers, suppliers and exporters of 321 Stainless Steel Bolts. These mechanical tools are precisely engineered from superior quality raw material under the supervision of expert professionals. Offered product is widely appreciated for its better precision, dimensional accuracy, seamless finish and corrosion resistance. Commonly used to join metallic objects, offered bolts are available at industry leading prices. 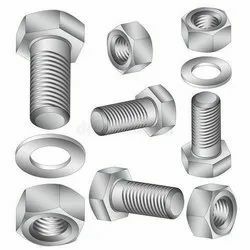 Looking for Stainless Steel Bolts and Nuts ?